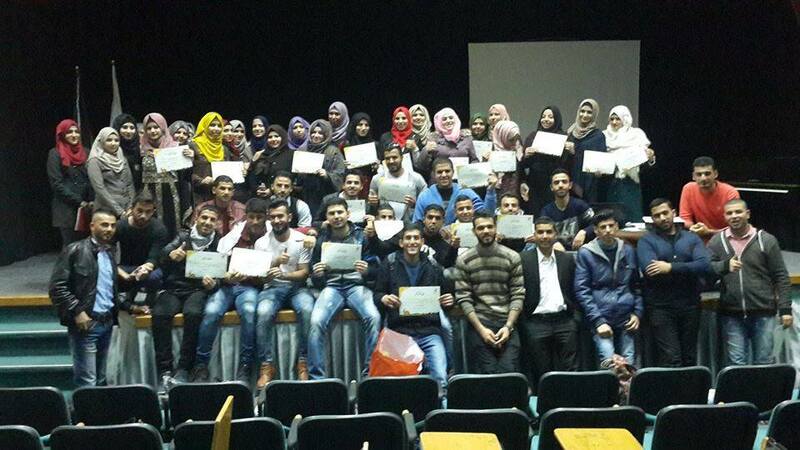 Students affairs committee in Al-Quds University in cooperation with Burj Al-luqluq social center and with a partnership with Sona’ Al-Hayah team and Jerusalemite Parkour has organized an educational festival on Saturday in Al-Quds University titled as Soul Identity. The doctor Abdul Ra’ouf Sinnawi has opened the festival with a speech indicating the importance of volunteering agreements with social and academic institutions for Palestinian society development. In addition, Mustafa Toubal has expressed Burj Al-luqluq social center goals and social entrepreneurship role in supporting Jerusalemite youth.